There are several well-known balanced funds offered by Vanguard Group Inc. They are Vanguard Wellesley fund, Vanguard Wellington Fund, and Vanguard Star fund. These funds are popular among the long term investor. I’ll review the Vanguard Star fund for this article. 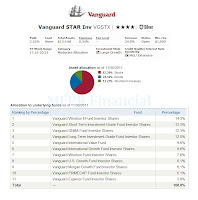 This Vanguard Star fund is known as fund of funds. The investment aim of Vanguard Star Fund is to provide long-term capital appreciation and income. This hybrid fund invests in a diversified group of other Vanguard mutual funds, rather than in individual stocks or bonds. This Vanguard fund uses a balanced investment approach by investing 60% to 70% of assets in common stocks through eight stock funds; 20% to 30% of assets in bonds through 2 bond funds; and 10% to 20% of assets in short-term investments through a short-term bond fund. Stocks picking is difficult task for regular investor. Choosing the mutual fund or ETF route may be easier. This article is about Ten Best Mutual Funds for 2012 and possibly for 2013. The top funds mentioned in this article include: DoubleLine Total Return Bond Fund, TIAA-CREF High-Yield fund, Permanent Portfolio fund, Tocqueville Gold fund, etc. Details about each fund review can be found below. If you have followed this website, you have noticed I have reviewed several of mutual funds such stock funds, bond funds, balanced funds, commodity funds, money market funds, etc. These mutual funds can be divided into variety of classes such as domestic stock, international stock, taxable bond, non-taxable bond or municipal bond, conservative allocation balanced, moderate allocation balanced, emerging markets stock, and many more. Selection Criteria Finding the right criteria might be difficult for regular investor. The following is my pick criteria in selecting these best mutual funds for 2012 (and possible 2013 and beyond). The funds have low cost (i.e. low expense ratio fee). If possible, there will be no sales load. The funds have long tenure management with 4 years or more. If the funds are part of index funds, this criterion will not be applied. They are recognized as the top fund by various financial website such as Morningstar, US News, Money, Forbes, etc. The fund should be opened to new investors. The mutual funds ratings are high such as 4 stars or 5 stars rating. The funds should have good long term performance. If possible, it should be consistently beaten the index benchmark for the past 5 years (i.e. provide outstanding performance). If not, it should very closely track the index performance (especially for index funds). The funds should be able to withstand various market conditions such as bear market or bull market or sideway market. In term of future trends, these best funds can provide steady capital appreciation and possible regular income stream through dividend income. If the yield is low, it should provide higher growth prospect for investor to take the risk. Top Stock Fund This best mutual fund also has a dividend yield of 8%, which is much larger than most high yielding mutual funds even stocks. The fund has total assets of $15.2 billion. There is no sales load for this fixed income fund.With current state of economy, investors need to find an investment with consistent capital growth and income. The DoubleLine Total Return Bond Fund is relatively new. It was offered to investor since 2010. This bond fund is managed by Jeffrey Gundlach and Philip Barach. Gundlach, who previously managed TCW Total Return Bond fund (Symbol: TGLMX), has a good long term performance record. Investor can invest in the top mutual fund with $2,000 initial investment. 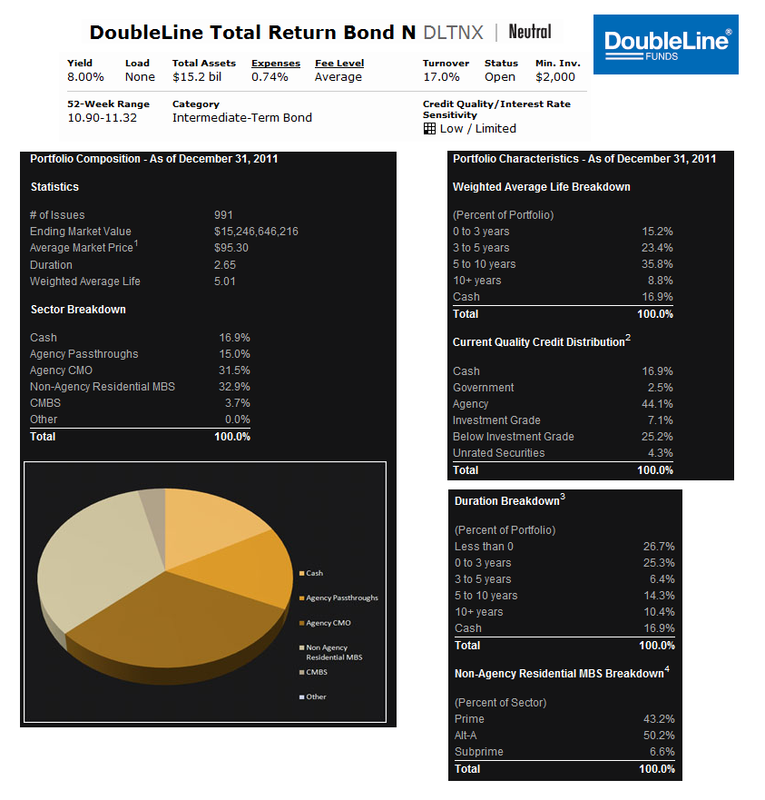 Another class of this DoubleLine fund is Institutional I-share (Symbol: DBLTX). After the U.S. Federal Reserve announced longer period of low interest rate, this bond mutual fund may have the potential to be the perfect mutual fund with high yield. With dividend yield of 6.85%, this fund can consistently provide regular income for retiree and long term investors. This best high yield bond fund is rated with 4 stars rating by Morningstar. It has an expense ratio of 0.59%. Investor can invest in this fund with $2,500 initial funding. This best bond fund has returned 6.73% over the past 1 year, 19.09% over the past 3 year, and 7.75% over the past 5 year. The average duration is 4.91 years. Municipal bond fund can provide steady income stream for investors. One of the top rated Muni bond funds is Wells Fargo Advantage Intermediate Tax-Free fund. This fund provide dividend yield that is exempt from federal income tax. This best bond fund is managed by Lyle J. Fitterer and Robert J. Miller. The fund's yield is 3.25%. The fund's expense ratio fee is 0.73%. Best Bond Fund In term of performance, this best bond mutual fund has managed to outperform its index benchmark consistently (9 out of 10 years). This top mutual fund has ranked very highly for the past decade with 4% ranking. This fund has returned 9.21% for year 2011. You can also pick your single state muni bond fund such as California municipal bond fund, NY muni bond fund, etc. This single state municipal bond fund may not be subjected to federal income tax and state income tax rate. 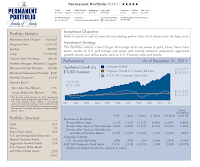 This Permanent Portfolio fund is suitable for conservative investors. I like this mutual fund a lot hence; it can alter its assets according to market condition. This balanced fund or hybrid fund invests in stocks, bonds, precious metals, commodity, and money market fund. The fund is also rated with 5 stars rating by Morningstar. As one of the best mutual funds for 2012, it currently has 0.91% yield. The total assets are $15.4 Billion. The fund expense ratio is 0.77%. This best conservative allocation balanced fund has returned 9.44% over the past 5 years, and 11.56% over the past 10 year. The fund is managed by Michael J Cuggino since 2003. As of January 2012, the top 5 holdings include Gold - US Golden Eagles, Gold Canadian Maple Leaf, Gold Bullion Comex Eligible, Silver Bullion Comex Eligible, and US Treasury Bond 6%. 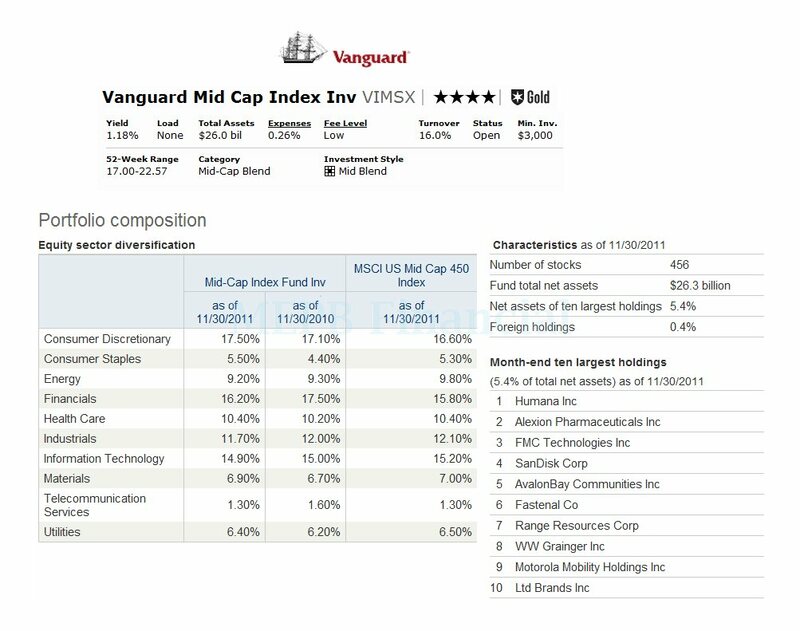 If you are cost conscious, you will like this Vanguard Balanced Index fund. 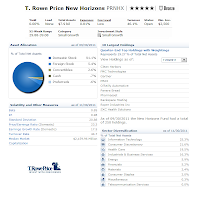 This top balanced fund only has 0.26% expense ratio. It invests in equities, fixed incomes, convertibles, preferred, cash, etc. You can invest in this fund with $3,000 minimum initial investment. This moderate allocation balanced fund has total net assets of $11.5 billion. The 3 year beta of this fund is 0.95. Morningstar has rated this fund with 4 stars rating. It also has a gold analyst rating from Morningstar. The Admiral shares of this fund is VBIAX. 6. Amana Trust Income (AMANX) This Amana Trust Income fund is rated 5 stars rating. It also has an outstanding long term performance. For the past decade, it has ranked in top 1% among its peers. This fund has returned 4.64% over the past 5 years, and 8.62% over the past 10 year. Nicholas Kaiser and Monem Salam are the fund's managers. It also has a yield of 1.54%. It doesn't have any sales load. This U.S. domestic stock fund has 1.20% expense ratio. International stock funds have underperformed compare to US stock funds due to Europe debt crisis. Investing in this Sextant International fund may provide a contrarian view for investor. You can start to invest in this top performer with $1,000 minimum initial funding. This top foreign large blend equity fund is rated with 5 stars rating. This fund primarily invests in companies which are located outside the U.S. This Saturna fund a 3-year annualized return of 7.95%. 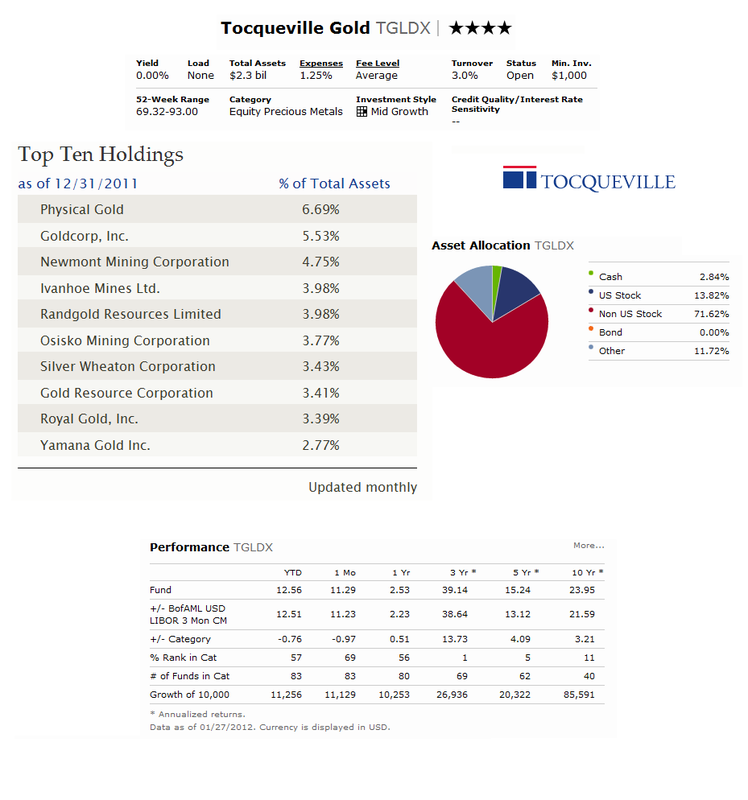 As of January 2012, the top 5 holdings of this top performer fund are: Copa Holdings SA A, Teck Resources Ltd Class B, Novartis AG ADR, Shire PLC ADR, and ASML Holding NV. The top 5 sectors are: Basic Materials, Energy, Technology, Industrials, and Communication Services. Emerging Markets economy has been the engine driver of global economy for the past decade. After the economic crisis in 2008, these emerging markets regions such as Brazil, China, India, Russia, Indonesia, etc have seen significant economic growth. This Lazard Emerging Markets Equity Open fund's objective is to seek long term capital appreciation. It has been managed by James Donald since November 2011. It currently has $13.66 Billion total assets. The fund also has a dividend yield of 2.84%. The top 5 stocks holdings are: Cielo SA, Redecard S.A., Banco do Brasil SA BB Brasil, Vale S.A. ADR, and Shinhan Financial Group Co., Ltd.
Technology sector may provide an attractive sector for investors for the next decade. With new technology IPO being introduced, majority of technology companies also generate a lot of cash. This cash may provide some cushion in case the economy doesn't pick up in near future. To invest in this sector, Fidelity Select Software & Computer Service fund is among the best equity sector fund. This best equity sector fund is rated with 5 stars rating. This Fidelity fund has returned 29.45% over the past 3 years, 8.35% over the past 5 years, and 7.67% over the past decade. The fund's expense ratio is 0.84%. As of January 2012, the top 10 stocks holdings include Google Inc, Microsoft Corp, Apple Inc, Oracle Corp, International Business Machine Corp, Accenture Plc, Cognizant Technology Solutions, Ebay Inc, Citrix Systems Inc, and Mastercard Inc. This equity precious metals mutual fund has been the top performer over the past decade with a 10-year annualized return of 23.95%. This fund also has an expense ratio of 1.25%. This investment fund has performed amazingly, and it will continue to perform with gold becoming more of a flight-to-safety investment for investors. This fund is managed by John Hathaway and Douglas B. Groh. Disclosure: As of January 2012, I don't have any positions in these funds. Note: I'll review the funds' performance throughout the year of 2012 and 2013. The following is the updated table for the best mutual funds up to 12/30/2012. The Milwaukee-based Artisan Partners LP provides variety of Artisan Funds. Three of these Artisan funds had managed to beat their peers in 2011 such as Artisan Mid Cap Value, Artisan Small Cap Value, and Artisan Value. The managers (Scott Satterwhite, James Kieffer and George Sertl) who manage these funds have been awarded 2011 domestic stock manager of the year. 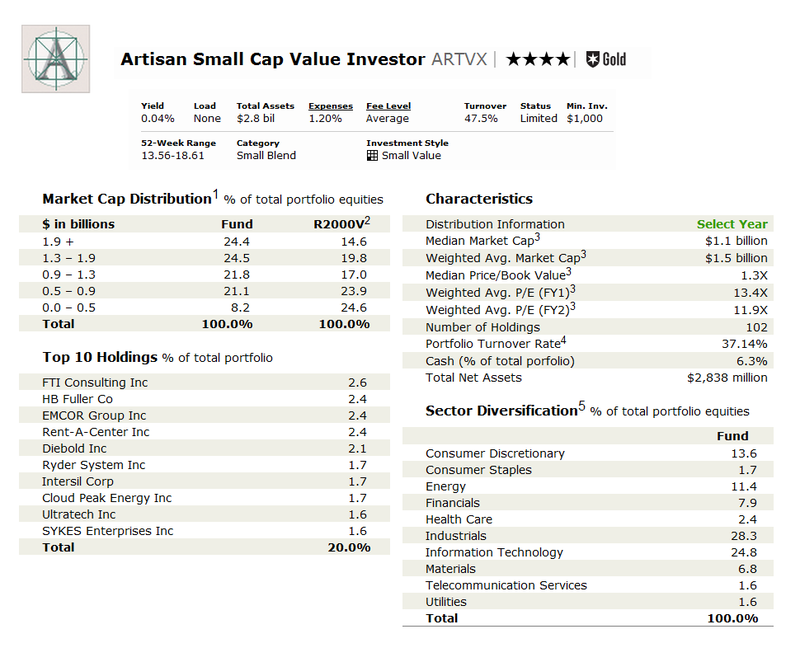 Details about the Artisan Small Cap Value fund can be found below. 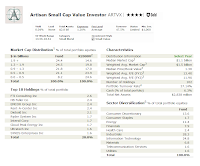 This Artisan Small Cap Value fund objective is to seek long-term capital growth. This fund invests primarily in undervalued small U.S. companies. This equity fund performance is benchmarked against the Russell 2000 Value Index. This top rated fund uses the following strategies to select the companies: attractive valuation small companies, companies with sound financial condition, and companies with attractive business economics. As an American-based global asset manager, MFS Investment Management offers several of investment products such as mutual funds, 529 funds, closed end funds, variable insurance portfolio, etc. One of the well-known products is MFS Lifetime funds. These target strategies funds are divided into 5 maturity dates such as 2010, 2020, 2030, 2040, and 2050. I’ll review the MFS Lifetime 2010 A (MFSAX) fund for this article. 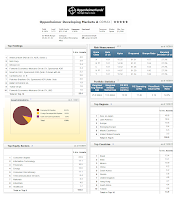 This MFS Lifetime 2010 fund objective is to achieve a high level total return. This balanced fund is designed to provide diversification among different asset classes by investing the majority of assets in other MFS mutual funds. Within the stock fund allocations, MFS seeks to diversify globally (by including domestic and international underlying funds). It may invest in various market capitalizations such as large cap, mid cap, and small cap. It may use different investing styles such as blend, growth, and value style. This MFS fund also invests in various MFS bond funds with variety of interest rate and credit exposure. International stock funds don’t do very well during 2011. To achieve better performance, investor needs to choose the right international stock fund. One of the best ways is to pick the international stock index fund. One of this index funds is Vanguard European Stock Index fund. Note: International stock funds can be categorized into various categories such as Europe stock fund, emerging market stock fund, global stock fund, and more. 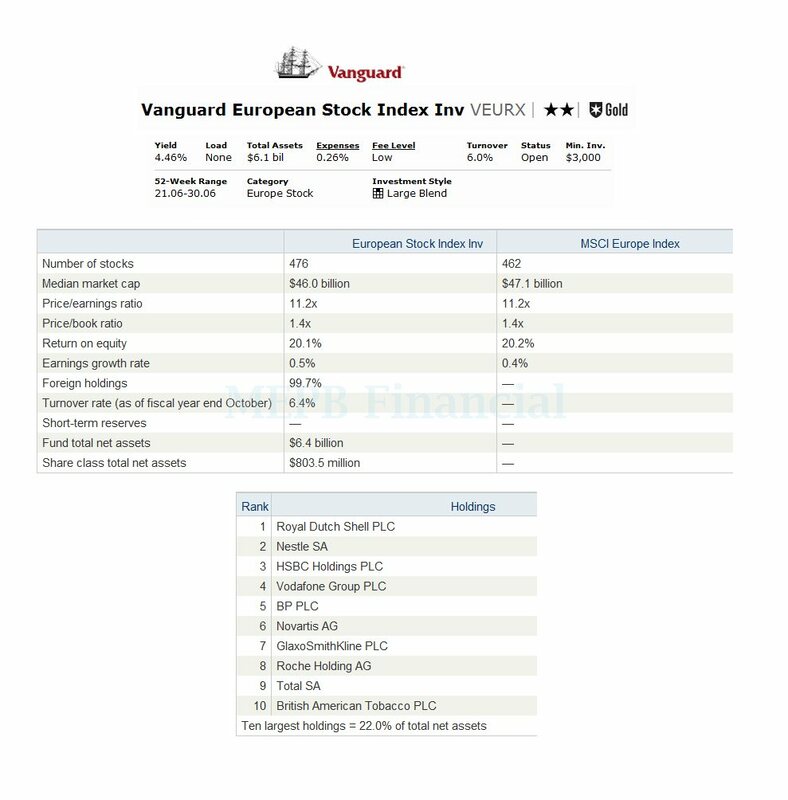 The Vanguard European Stock Index fund objective is to track the performance of a benchmark index, MSCI Europe Index. This MSCI Europe Index benchmark measures the investment return of stocks issued by companies located in the major markets of Europe. This international stock fund uses passive management strategy or indexing investment approach. This index is made up of approximately 467 common stocks of companies located in 16 European countries. These companies are located in the United Kingdom, Germany, France, and Switzerland. Choosing the right balanced mutual fund is essential for investor. One of the well-known balanced funds is Manning & Napier Pro-Blend Conservative Term Series fund. As part of lifestyle funds, this Manning & Napier fund is invested in a conservative mix of stocks, bonds, and cash. Details about the fund’s review can be found below. The Manning & Napier Pro-Blend Conservative Term fund objective is to provide capital preservation and its secondary objective is to provide long-term capital growth. This hybrid fund invests conservatively in stocks or equities, bonds or fixed income, and cash to generate income. This EXDAX fund invests mainly in fixed income securities, including U.S. Treasury securities, mortgage-backed securities, and corporate bonds. The advisor typically focuses on fixed income securities with short- to intermediate-term maturities. It invests primarily in investment grade securities. The fund’s management will increase stock holdings when valuations are low. Global market demand global investing for long term individual. One of the ways to invest in international equities is through world stock mutual fund. 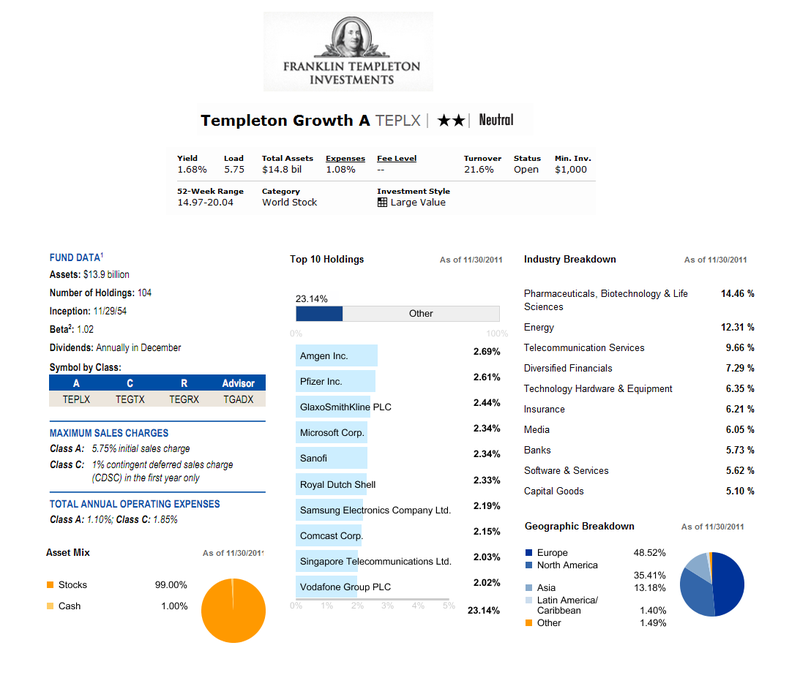 One of the largest world stock funds is Templeton Growth A (TEPLX) fund. More fund review can be found below. 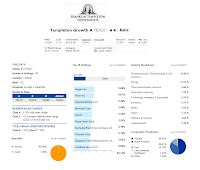 The investment aim of this Templeton Growth fund is to seek long-term capital growth. This popular fund invests principally in the equity securities of companies located anywhere in the world. This equity fund also invests in emerging markets. US Stock fund can be categorized into three main categories such as Large Cap US Stock fund, Mid Cap US stock fund, and Small Cap US stock fund. These funds invest according to its naming. Large Cap stock fund will invest in large US Companies stocks and so on. 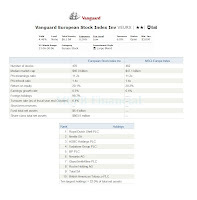 Vanguard has been the leader of US stock index fund. One of these US stock index funds is Vanguard Mid Cap Index Fund. This fund invests mainly in companies with mid-capitalization. The investment objective of Vanguard Mid Cap Index Fund is to track the performance of the MSCI US Mid Cap 450 Index, a benchmark index. This index measures the investment return of mid-capitalization stocks. The fund employs a passive management or indexing investment approach. This US Stock Index Fund will try to replicate the target index by investing all or most of its assets in the stocks that make up the index based on its index weighting. 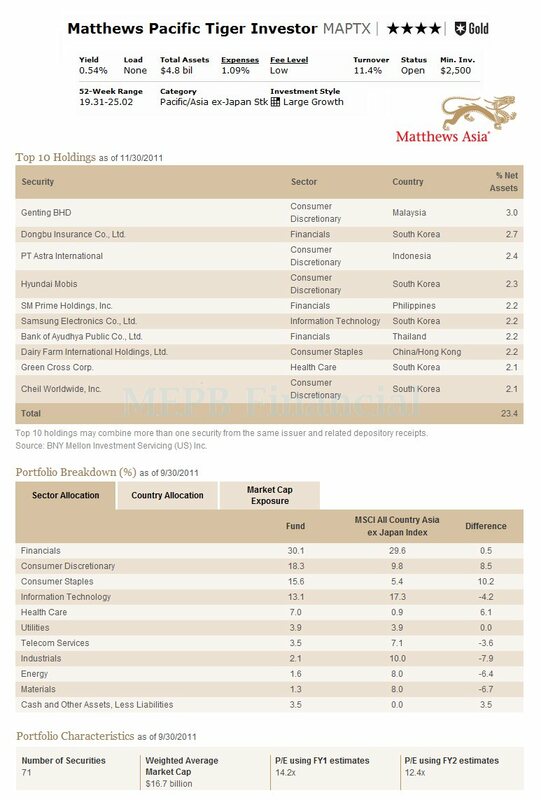 Matthew Asia Funds are popular among investor who invest in South Asia, East Asia and Southeast Asia region. One of the top rated Matthew Asia Funds is Matthews Pacific Tiger fund. This international stock fund invests in Pacific Tiger Countries such as China, Hong Kong, Indonesia, India, Pakistan, Philippines, Malaysia, Singapore, Sri Lanka, South Korea, Thailand, Taiwan, and Vietnam. More fund’s review is described below. The primary objective of this Matthews Pacific Tiger fund is to provide long-term capital appreciation. This equity fund typically invests most of net assets (>80%) in the common and preferred stocks of companies located in Asia excluding Japan such as China, Hong Kong, India, Indonesia, Malaysia, Pakistan, Philippines, Singapore, South Korea, Sri Lanka, Taiwan, Thailand and Vietnam. During the crisis situation or not, balanced mutual funds has remained steady. These balanced funds, also known as hybrid funds, invest in stocks (equities), bonds (fixed income), money market fund (cash), convertible, preferred, etc. Depending upon the fund’s objective, the asset allocation is distributed accordingly. Some of the top performer balanced funds of 2011 are Federated Muni and Stock Advantage A, FBR Balanced Investor, Value Line Asset Allocation, Invesco Balanced-Risk Allocation A, etc. This balanced fund can be used to diversify investor’s portfolio. Asset diversification is important during volatile market. Based on its asset allocation, the Balanced Funds can be divided into 4 main categories such conservative allocation, moderate allocation, aggressive allocation, and world allocation. There are other classes of balanced funds as well such as retirement income, and target-date funds. I also will highlight some of the main characteristics from these top performing funds such as expense ratio fee, Morningstar rating, analyst rating, sales load, dividend yield, turnover rate, management, top holding, etc. To protect against inflation, investor can buy TIPS (Treasury Inflation Protected Securities). Choosing the individual TIPS bond may be tedious. Easiest way is to choose the inflation protected bond fund through mutual fund or exchange traded fund (ETF). One of the big and popular TIPS bond funds is Vanguard Inflation-Protected Securities fund. The Vanguard Inflation Protected Securities fund objective is to provide inflation protection and income consistent with investment in inflation-indexed securities. This Vanguard fund invests majority of assets (>80%) in inflation-indexed bonds issued by the U.S. government, its agencies and instrumentalities, and corporations. It may invest in bonds of any maturity, typically its dollar-weighted average maturity is in the range of 7 to 20 years. This fund will invest in investment grade bonds. 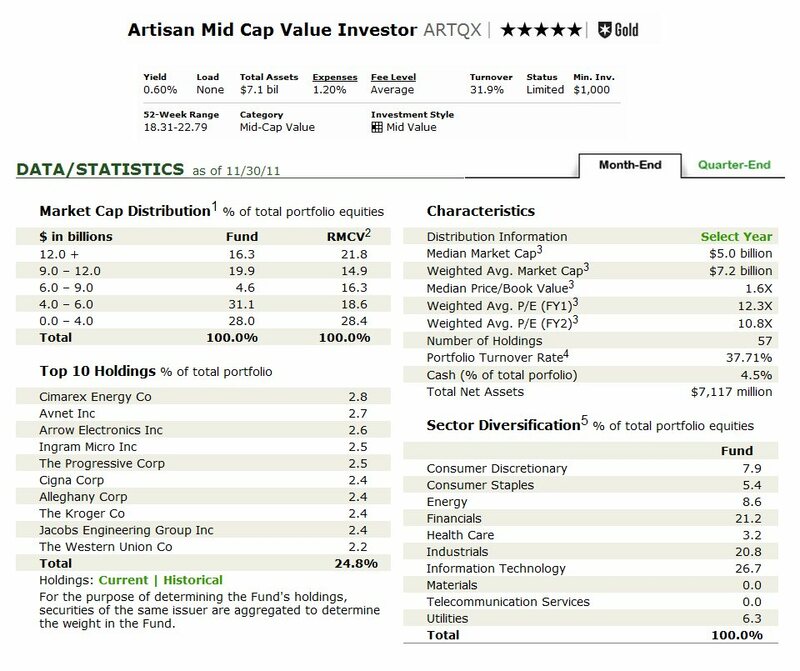 This next fund, Artisan International Value Fund, is one of the best performing and top rated international stock funds. This Artisan fund invests mainly in undervalued international companies which are located outside U.S. It is also one of the best performing international stock funds for year 2011. The investment objective of Artisan International Value fund is to pursue long term capital growth. This equity fund invests most of assets in undervalued Non-U.S companies of all market capitalizations. The fund’s performance is compared with the index benchmark, MSCI EAFE Index, over a full market cycle. This international stock fund typically holds about 40-60 stocks, diversified across most major sectors. It also invest in >5 countries. It may invest small part of its assets (<20%) in emerging markets countries. 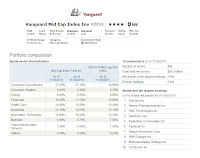 Vanguard Equity Income fund (VEIPX) is a top stock mutual fund. This large value equity fund has high dividend yield. 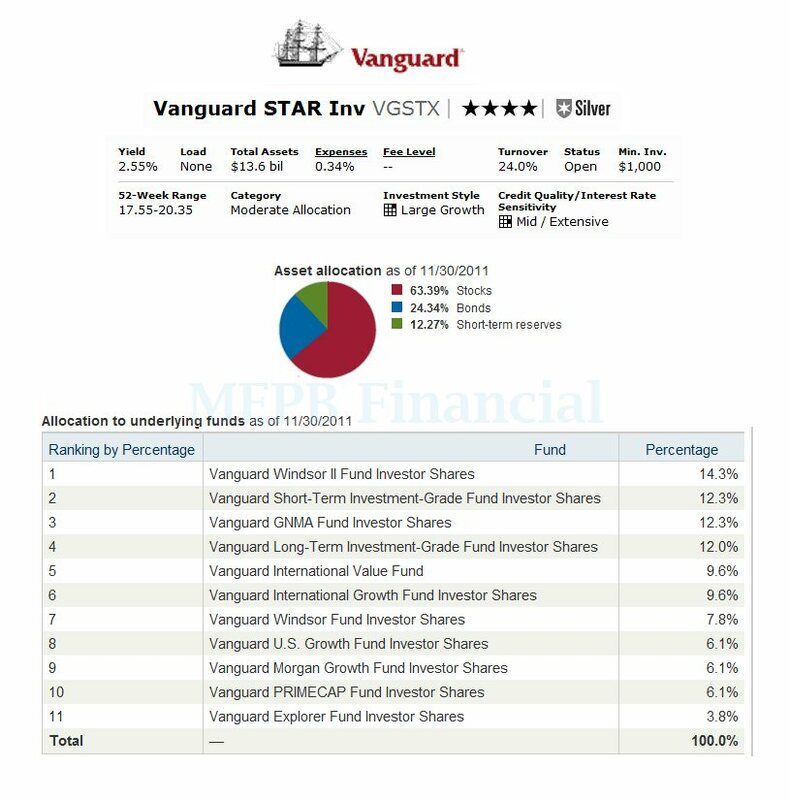 Vanguard is known with its index mutual funds. These index funds provide low cost mutual fund for investors. It also offers several actively managed mutual funds such as Vanguard Wellington fund, Vanguard Wellesley fund, Vanguard Windsor II, and more. Another popular and top rated actively managed stock fund is Vanguard Equity Income fund. 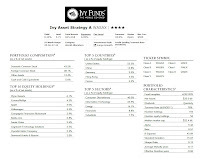 This equity fund is recognized as the top performer mutual fund of 2011. This Vanguard Equity Income fund invests in common stocks of medium-sized and large companies which pay above-average dividend income level and are considered to have the potential for capital appreciation. In addition, the fund’s advisors typically look for companies which commit to paying dividends consistently. The fund invests most of assets (>80%) in stocks or equity securities. 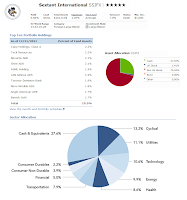 This article will look into the Top Performing Municipal Bond Mutual Funds of 2011. Among the best performing funds are: Eaton Vance Tax-Advantaged Bond Strategy Intermediate Term A, New Hampshire Municipal, Dupree Taxable Municipal Bond, Oppenheimer AMT-Free Municipals A, etc. Municipal bond funds were one of the dislike classes of mutual funds for 2011. Meredith Whitney is one of the well known analyst who predicted the economic crisis on 2008. On December 2010, Whitney said there will be hundreds of municipal bonds goes default on 2011. However, 2011 has passed; municipal bond funds are not only recovered. They are one of the top bond funds which outperformed other fund’s categories such as international stock funds and US stock funds. As we know, Municipal bond funds are part of fixed income funds or bond funds. Bond funds itself can be categorized into two such as taxable bond funds (government bond, sovereign bond, high yield bond, etc), and municipal bond funds. Municipal bond funds are also known as non-taxable bond funds. These Muni bond funds invest in variety of municipal debts that are tax exempt from federal tax rate. One of the top performer asset classes of Mutual Fund for year 2011 is taxable bond funds. Almost any classes of taxable bond and non-taxable bond funds had beaten the stock funds especially international stock funds. 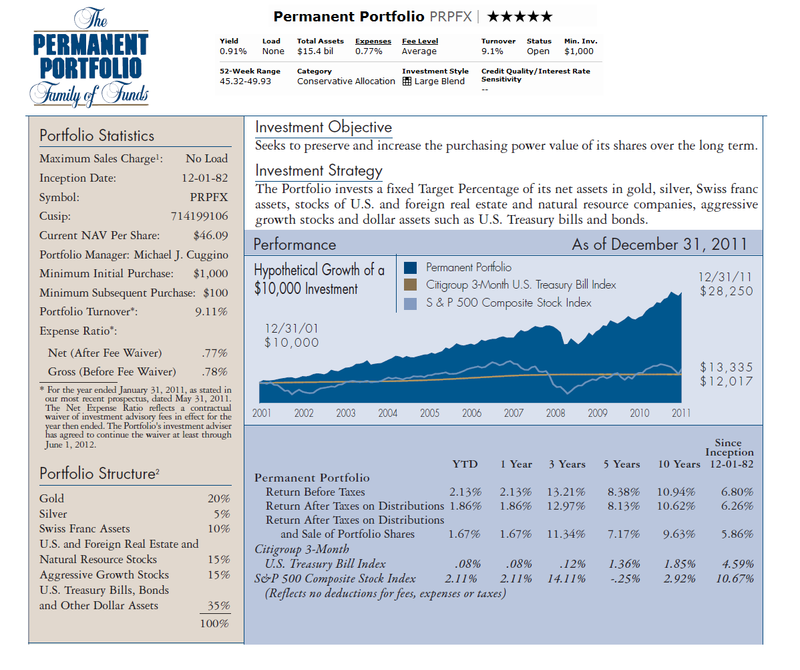 This article will look into the top performer taxable bond funds of 2011. Some of the top performers are: DoubleLine Core Fixed Income N, William Blair Income N, Vanguard Long-Term Bond Index, PIMCO Global Bond (USD-Hedged) A, and more. There are varieties of taxable bond funds such as intermediate term bond fund, long term bond fund, government bond fund, high yield bond fund, multisector bond fund, world bond fund, and so on. I’ll provide the 5 top performers of each class. More details can be found below. Note: Although the performance of these funds is outstanding, future performance is not a guarantee. Please review this fund in details. I also provide the tables which show the fund performance in 1 year, 3 year, 5 year, and 10 years. PIMCO bond mutual funds are among the top mutual fund for investor to invest in. Pimco CEO Mohamed El-Erian and PIMCO CIO Bill Gross are among the top fund managers managing various mutual funds offered by PIMCO. One of the top balanced funds offered by PIMCO is PIMCO All Asset A (PASAX) fund. The PIMCO All Asset A fund primary objective is to seek maximum real return, consistent with real capital preservation and prudent investment management. This Hybrid fund typically invests all of its assets in Institutional Class or Class M shares of other PIMCO funds except the All Asset All Authority fund, Global Multi-Asset and the RealRetirement funds. This balanced fund is classified as non-diversified mutual fund, however it invests in diversified underlying holdings. 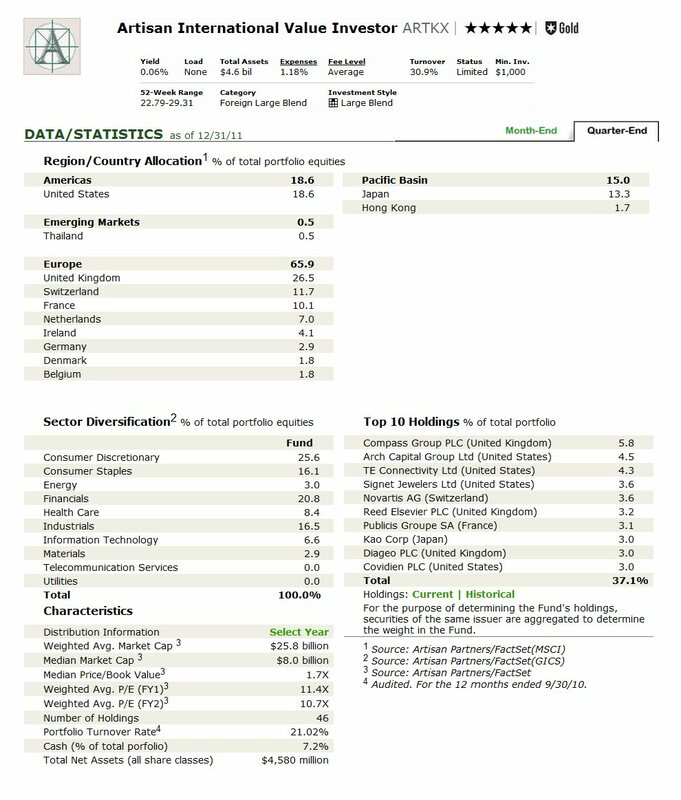 This next article will look into the top performer International stock funds of 2011. I have divided them into different groups such as International Diversified large company, global stock, diversified emerging markets stock, international small and mid-size company, and regional/single country stock. The list included the top 5 performer funds from each class. Some of the top performer funds include: Virtus Emerging Markets A, Morgan Stanley Global Infrastructure A, MFS International Value A, and more. I’ll provide more details about the fund review in my future articles. Please note, depending upon the fund’s management style, the individual fund may be value stock fund, growth stock fund, or blend stock fund. These equity funds may have sales load, higher expense ratio, actively managed fund. Investor can find additional information from the fund’s website or prospectus. I may have reviewed some of these top performers previously. Note: International Stock Funds are funds which invest in company outside of United States such as Europe, Japan, BRIC (Brazil, Russia, India, China), Canada, Australia, Singapore, Korea, United Kingdom, Taiwan, and so on. 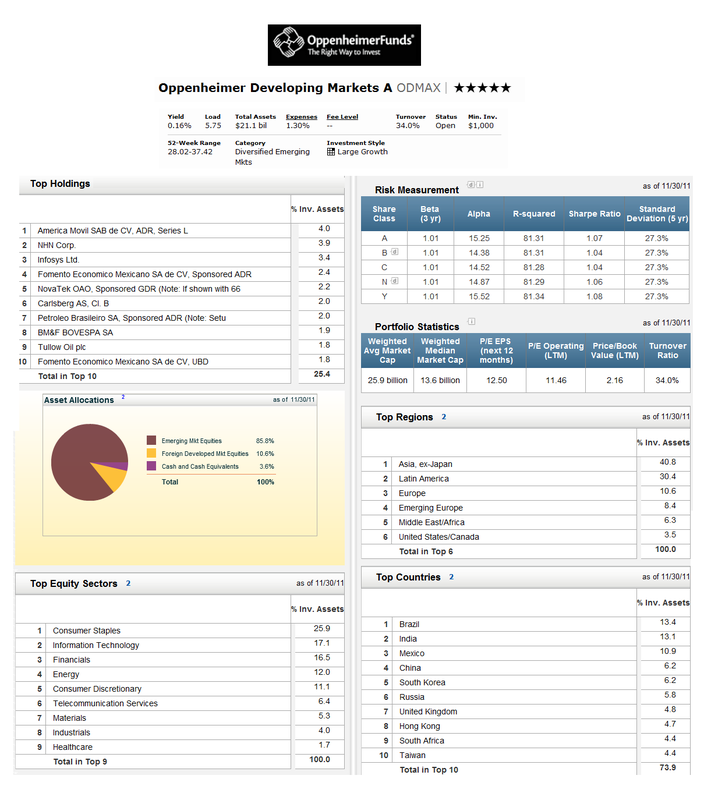 One of the top emerging markets equity mutual funds is Oppenheimer Developing Markets A (ODMAX) fund. This stock fund is rated as the best fund for the long term investor by Morningstar. One of the top stock holdings is America Movil SAB de CV which is the largest Mexican telecommunication company. Details about the fund review can be found below. The investment objective of Oppenheimer Developing Markets fund is to provide capital appreciation aggressively. This Oppenheimer stock fund primarily invests in common stocks of issuers in emerging and developing markets throughout the world. This top stock fund may invest <100% of total assets in foreign securities. It typically invests >80% of net assets, including any borrowing, in equity securities of high growth potential issuers whose principal activities are in >3 developing markets. Vanguard Windsor II is an actively managed popular mutual fund offered by Vanguard. This fund invests mainly in US companies’ stocks especially in undervalued large capitalization companies. More fund review is described below. The objective of Vanguard Windsor II Fund is to provide long-term capital appreciation and income. 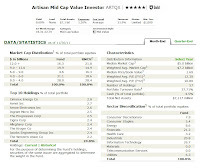 This Large Value US Stock fund invests in mid- and large-capitalization companies whose stocks are considered by an advisor to be undervalued. Undervalued stocks mean these stocks are out of favor with investors and the advisor feels are trading at prices that are below average in relation to such measures as book value and earnings. These stocks often have above-average dividend yields. World Allocation Balanced Fund should be the top choice for long term investor to invest in. 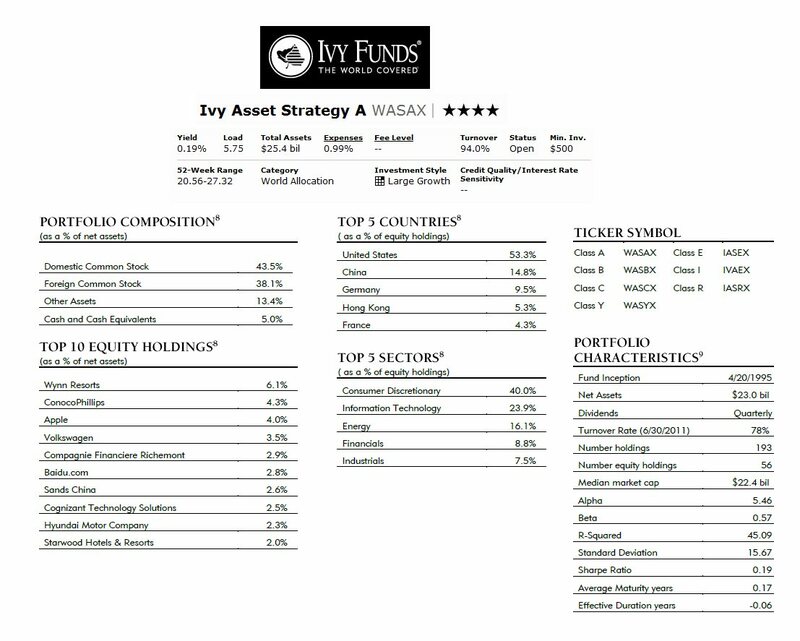 One of the well-known or popular world allocation balanced funds is Ivy Asset Strategy Fund. This fund uses top down allocation approach to invest in stocks, bonds, precious metal, cash, and currency markets. Details about this fund review are described below. The Ivy Asset Strategy fund’s objective is to provide total return. This balanced fund invests its assets among stocks, bonds and cash in markets around the globe. It may also invest in precious metals and various foreign currencies. This hybrid fund may invest up to 100% of assets in foreign securities. One of the balanced fund categories is world allocation fund. This World Allocation balanced fund can provide asset diversification for investor. This hybrid fund invest in stocks or equities and bonds or fixed income around the world (US and foreign). 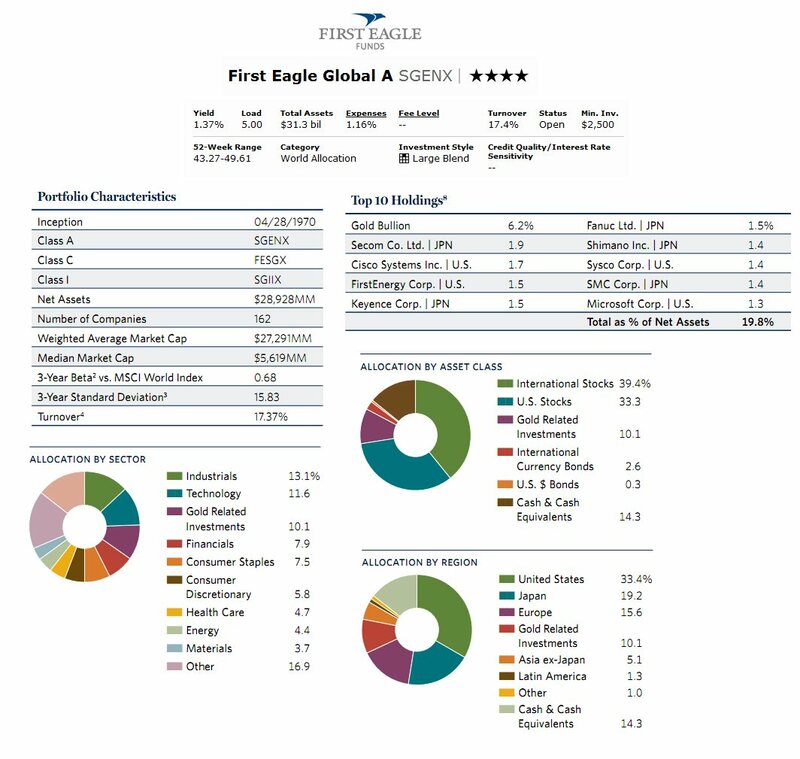 One of the popular world allocation balanced fund is First Eagle Global A fund. Details are described below. 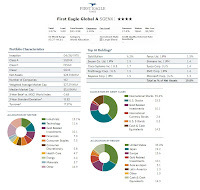 First Eagle Global A fund (SGENX) is one of balanced mutual funds. This world allocation fund focuses its investment in U.S. & foreign companies stocks and bonds. The investment objective of this First Eagle Global fund is to provide long-term growth of capital. This First Eagle fund invests in a range of asset classes from markets in the United States and throughout the world. The fund invests its assets primarily in common stocks of U.S. and foreign companies. It may invest in any market capitalization company. Depending upon the market condition, this fund may invest > 40% of the fund’s total assets in foreign investments.